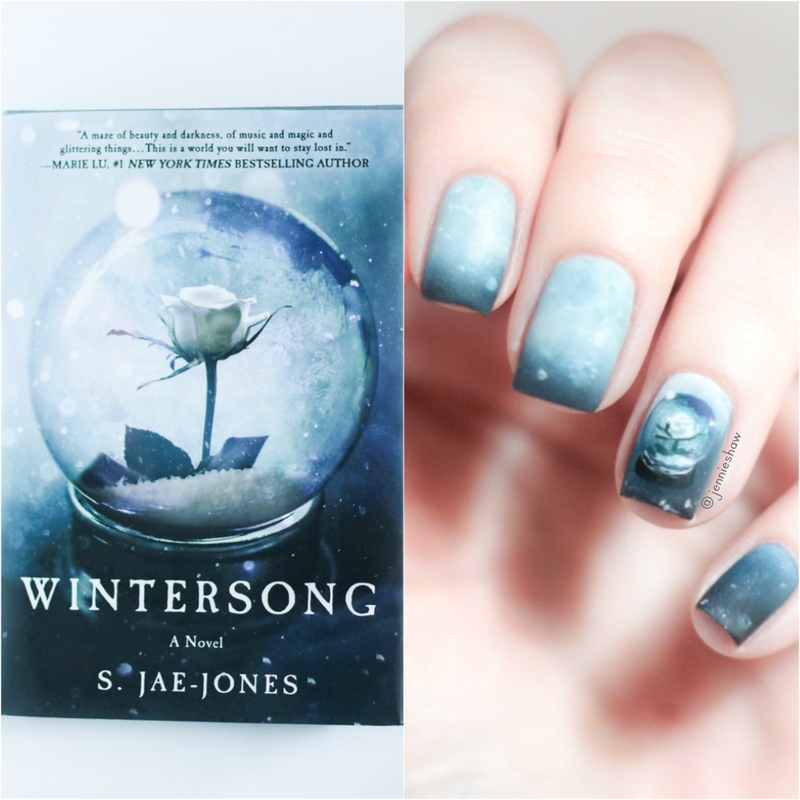 Last month, I won a copy of WINTERSONG. After seeing it everywhere in the bookstagram world, I was super psyched to dig in. Some reviews suggested that WINTERSONG was a retelling of Labyrinth, but I didn't find that to be the case. Yes, they both feature the Goblin King, and the protagonist is a teenage girl, but WINTERSONG is a wholly original tale that I gobbled up like grapes on a platter. Dark and mysterious characters are my jam and the Goblin King totally qualifies. Although the narration was from Liesl's point of view, for me, the Goblin King was the real star. 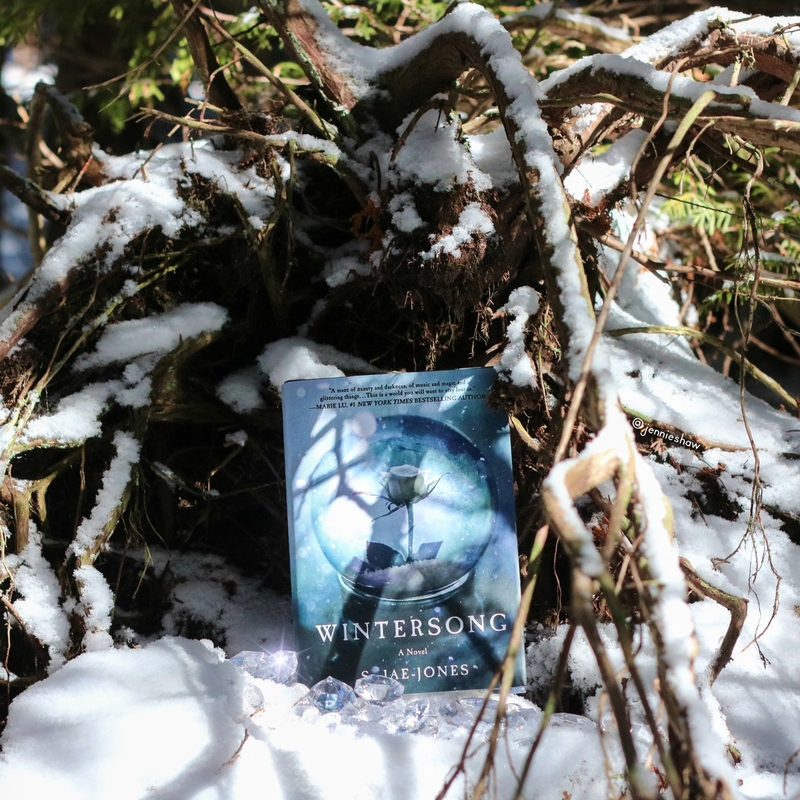 There's a saying in the writing world that an antagonist is the hero to his/her own story, and WINTERSONG is a perfect example of how to create that sort of dimension. It's easy to have a villain act so evil they basically walk around while petting a hairless cat, but to have me questioning how the bad guy became the bad guy? Yes please. As the book went on, I felt overwhelming sympathy for the Goblin King (why can't I know his name?! Can you imagine not even having a name?! *heart pang*) which meant that as much as I wanted to root for Liesl, I had more of a desire to see the Goblin King come out okay. Jacket design by Danielle Christopher. In addition to the sympathetic Goblin King, I really loved WINTERSONG's musical components. I'm not a classical music aficionado, but the vivid descriptions of how Liesl played--what she felt while the music surrounded her--moved me. For Liesl, music is life and her intensity leapt off the page. In a world that told her to stay in the shadows, she didn't squander her opportunity to grow and take hold of her desires. Err...eventually, anyway. She didn't start out that way. Haha! I loved watching her self-confidence grow and she wasn't afraid to toss out a cutting remark here or there. Obsessed with her looks, or lack thereof, the underground world of the goblins turned out to be exactly what Liesl needed. The complexity of feeling furious and grateful worked beautifully. Before I conclude, there is a topic I want to discuss. I'm not a fan of romances with enormous age gaps. It feels icky. Seeing Hugh Hefner with a woman in her thirties puts a gross taste in my mouth, so having a centuries-old character with a teenager, even in fiction, makes me squirm. And not in a good way. It's the one consistent bone of contention I have with YA fantasies. WINTERSONG had a touch of "generationally old male character condescends to a teen girl," but not enough to turn me off, and although there was an added creepiness factor that he knew her as a child, it was addressed in a non-threatening way. S. Jae-Jones was smart here, in my opinion, because the focus of the Goblin King's affection was predominantly directed towards Liesl's music and playful personality, which meant he didn't see a child in a sexual way (until she turned 18 but does that really put her on a level playing field with a legitimately older love interest...). Anyway, while WINTERSONG had some yellow flags for me, in this regard, they weren't blazing red like in some others (which I didn't continue reading). So if you're in the mood for a dark and beautiful adventure filled with goblins, music, and a woman learning to claim her space in the world, WINTERSONG is the book for you! 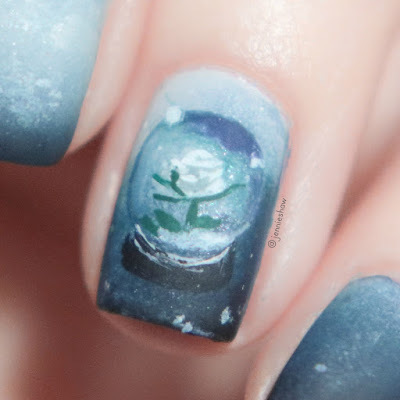 OPI - Alpine Snow and Stay Off the Lawn!